I am more confident. Content with my stance and my energy level. My concentration and focus have never been sharper and I finally know how to relax. 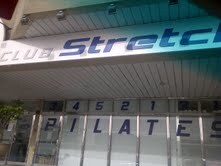 I walked into Club Stretch, the finest pilates studio in Dubai in late February of 2004. I carried my 4 month year old baby in with me. I found the owner at the front desk and I inquired about the classes. That is when my love story with pilates began. My daughter always boasts that she attended my first pilates class. She only knows that because I remind her that she sat in her baby car seat, watching her uncoordinated, dissipated mother attempt an art of coordination and discipline. She did cry but the studio was empty and the instructor held her while he gave me my first private class. I didn't understand a thing he was saying. I have failed biology class in high school, managed to skip it in college and he was reciting a litany of anatomical terms. I remember stopping to say: "I am multilingual. I can't register what you are saying." But I put my body to it. I didn't know that the mind was also required. At first, I would sms "I hate pilates" to my friends with pride. After a strong push for my mother to take an eleventh class once my ten introductory were completed, I suggested my husband buy me a new pair of jeans every time I completed ten more. It was cool and incentivising to buy jeans in smaller sizes and large price tags! I soon became a pilates junkie. This post, following another half dozen on the same sport, cannot be redundant enough: pilates has changed my life. Have I become better at it? A French person would reply with perfect sarcasm: "et bien, a force..." It is non-translatable but an American would verbalize in this manner: "well dah! ....she is a pilates freak...she lives there!" I can ascertain that it has changed the way I move and the way I sit or stand. I will never transfer my weight onto one hip the way I used to while standing around for example. I will attempt to sit on my sitbones on a chair, unless it is an inviting couch (I am only human). I have recently noticed that Tiger Woods walks with perfect shoulder stability, like I try to do. Pilates is all about grace and perfect body language. 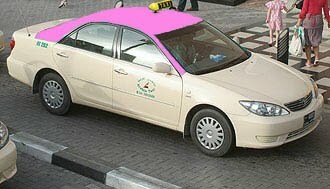 For Valentines this year, I gifted my wife with 10 private pilates lessons. On condition she only does them with the Master! Amazing how anti-biology genes run in families.I had to bribe the lab techncian at our university (took him out for dinner),to let my fiancee pass the frog-disection exam;so that we can meet the wedding day. I myself avoided taking biology as a science requirement,and settled for chemistry instead.Was Madonna the force behind our blogger to adopt Pilates? ?